OpenStack and Red Hat relationship is not new, Red Hat is one of the platinum. OpenStack has exceeded the expectations for performance, adaption was natural. Although OpenStack is Open Source, we can not ignore the brand weight of Rackspace. As we said in our previous article, Changing Scenario in US Based Cloud Computing; it was obvious. CentOS is free Red Hat Linux. Red Hat OpenShift is Open Source. An writer named Steven as ZDNET writer has wrote that – “Red Hat knows there’s no way it can make OpenStack the de facto cloud software of choice for the enterprise by itself“. It is quite insulting both for OpenStack and Red Hat. If these kind of non-informative webpages written by old fragile ready to hire persons are not stopped, it will be a real danger to the Open Source. Red Hat has changed their policy long back, OpenShift is fully Open Source. VMware will live for other reasons, the person has real problems in understanding Virtualization, Grid Computing and Cloud Computing. They needs not to bother about knowledge or development. Red Hat however never stated that OpenStack Cloud Software is not of enterprise grade. In fact Rackspace is running almost 80% Cloud Services based on Open Stack, including Private Cloud. Red Hat’s approach is based on OpenStack Technical Preview based on the Folsom release. 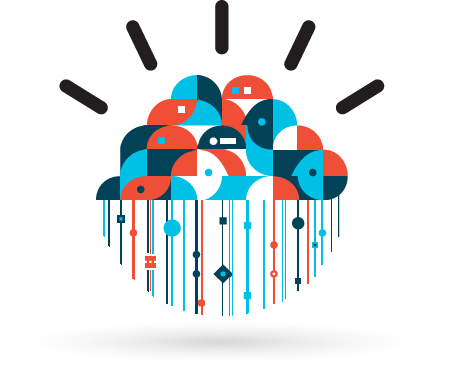 If you have confusion about OpenStack Cloud Computing Software – erase it out from mind. Except decrease in pricing we have not noticed any difference of the service quality of Rackspace after they have moved to OpenStack Cloud. In fact, we have increased usage of Cloud Files (Read Open Stack Swift) because of decrease in the pricing. You can search with Rackspace Cloud Files within and you will find lot of really useful articles. Unlike Steven like peoples, we have promoted the developers of GitHub, so that the Open Source grows more, just like WordPress has been a de facto standard of web publishing. WordPress has been WordPress not Just because it is good, Matt Mullenweg used his skill to control the propagation. OpenStack Cloud Computing project do not care about these aspects, death of OpenStack Cloud is sure – hundreds of closed source demons are waiting for it. OpenStack Cloud Compute : Why Folsom by Red Hat ? The release Folsom is a continuous and substantial progress, thanks to the continued growth of the OpenStack community. The statistics of OpenStack with Folsom has an increase of 65% in relation compared to its previous version. The analysis shows that hundreds of people from 49 different companies have contributed to the code of the seven projects of Folsom. As a result of these contributions, the Folsom OpenStack release includes 185 new features. This is the major reason of Adaption of this version by Red Hat. And most importantly, Red Hat has contributed to Folsom OpenStack Cloud Computing software too. Red Hat has created Quantum meta plugin to allow the adoption of heterogeneous network architectures instead of sticking limited to a single architecture or vendor, this is not a small and only contribution. We will as usually publish guides on Red Hat OpenStack, just like we did for HP Cloud. This Article Has Been Shared 4802 Times! Cite this article as: Abhishek Ghosh, "OpenStack Cloud Compute : Red Hat Plans For Implementation," in The Customize Windows, November 24, 2012, April 26, 2019, https://thecustomizewindows.com/2012/11/openstack-cloud-compute-red-hat-plans-for-implimentation/.